I made it to transmit to people the sense of ecstasy that music, and folk music in particular, generates in me. Enjoy this folk experience! Di tutte le versioni ascoltate di questa affascinante ballata inglese, la mia preferita resta sempre la lunga registrazione tratta da "The Lady And The Unicorn", il quarto LP di John renbourn. Questo ha forse a che fare col fatto che l'album è stato uno dei miei primi acquisti in assoluto, e che grande idea che fu! Il brano è totalmente strumentale, e fa parte di una suite di 13 minuti comprendente "My Johnny Was A Shoemaker", "Westron Wynde" e, appunto "Scarborough Fair"
John suona con un inedito trio con Tony Roberts al flauto e Don Harper alla viola. Il successivo progetto solista dopo "Sir John Alot" riprendeva l'idea di un lato B "concept": Musica medievale e rinascimentale suonata in modo folk, e folk suonato alla maniera rinascimentale e medievale. Nel 1969 la rinascita della musica antica in Inghilterra stava emergendo dalla fase primordiale, ma ancora non non osava spiccare il volo. [...] Le somiglianze tra i primi esempi di musica antica sopravvissuta per iscritto e melodie popolari come erano ancora eseguite erano spesso forti, il che mi portò all'idea di utilizzare le loro caratteristiche melodico/ritmiche come base per il lavoro dei solisti, qualcosa che ricordava molto il lavoro dei piccoli ensamble di jazz. Questo approccio si rivelò qualcosa che aveva un'attrazione immediata sui musicisti giunti per le sessioni di registrazione, e tali scelte furono davvero fortunate. Don Harper era un raro suonatore di viola viola, in grado davvero di improvvisare. E Tony Roberts è diventato un grande amico e mentore, collaborando su una serie di progetti successivi tra cui quello che sarebbe diventato il John Renbourn Group. 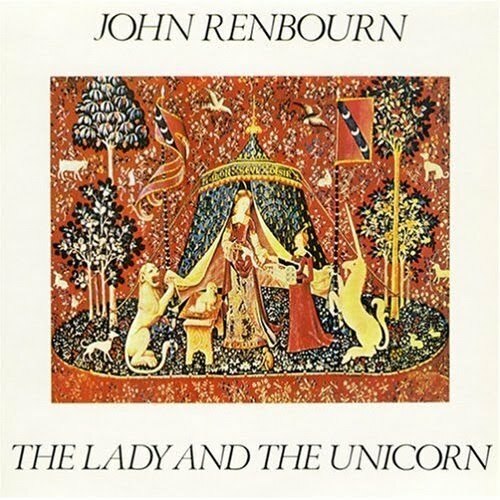 Of all the existing versions of this charming English ballad, my favorite has always been the long recording taken from "The Lady And The Unicorn", the fourth LP by John Renbourn. The tune is completely instrumental, and is part of a suite of 13 minutes, including "My Johnny Was A Shoemaker", "Wynde Westron" and, of course, "Scarborough Fair". The next solo project after 'Sir Jonh alot. Concepts from the B-side continued. Medieval and renaissance music played folksy and folk music played renaissance and medievally. By 1969 the early music revival in England was emerging from the cottage industry stage but still hadn't gone all that far. The folk scene was in full flight. The similarities between examples of early music surviving in manuscript and folk tunes as still performed were often strong which led on to the idea of using their melodic/rhythmic characteristics as a framework for solos, something along the lines of some small integrated jazz ensembles. It turned out to be something that had an immediate appeal to the musicians who came in for the sessions and who were fortunate choices indeed. Lea Nicholson had already steered the course of concertina playing in new directions. Don Harper was a rare find as a viola player who could really improvise. And Tony Roberts became a great friend and mentor, collaborating on a number of subsequent projects including what was to become the John Renbourn Group.